In case you haven’t heard, J.K. Rowling has been unmasked as the true identity behind “Robert Galbraith,” a Little Brown author who recently released a detective novel to mostly positive reviews. The news is being hailed far and wide as the greatest literary coup since Stephen King took up the pen name “Richard Bachman” back in the 80s. But there’s an important question no one is asking: Is this kind of thing actually ethical? Because to me it stinks to high heaven. Did the fabrications accomplish what Little Brown wanted it to? Sure. Getting reviewed as a “major new talent,” or having your work praised as an “auspicious-” or “stellar-” or “remarkably mature debut” is a heckuvalot better than getting reviews that say, “J.K. Rowling seems to have righted the ship after her last non-Harry Potter project, which actually had a lot of her fans quite worried.” But it’s patently dishonest. Fiction is what’s inside the book. We expect the packaging and the credentials on the outside to represent the publisher’s best, but honest, effort to get us to buy what’s inside. Lying to me about the author’s background so that I’m more likely to pick up the book, is two or three kinds of shady. After all, where do we draw the line? Can a publisher pull non-existent blurbs out of thin air to sway potential readers? Can they throw “New York Times Bestseller” on the cover if it will help them sell copies? How about an Oprah’s Book Club seal? Or “Winner of the Man-Booker Prize?” Made-up snippets from national media outlets? Or outlets that sound like national media authorities? I’m happy the Rowling’s written a great book, but as long she uses snake oil salesmen to hawk it, I’m not buying. Interesting post on this current bit of literary news... I had no idea that the publisher went so far as to fabricate that kind of bio. (I just assumed it would be the kind generic author bio we see all-too-often that read like personals ads with prior publications in place of what they're looking for in another person) So thanks for sharing that - and I agree it's dishonest on the part of the publisher. 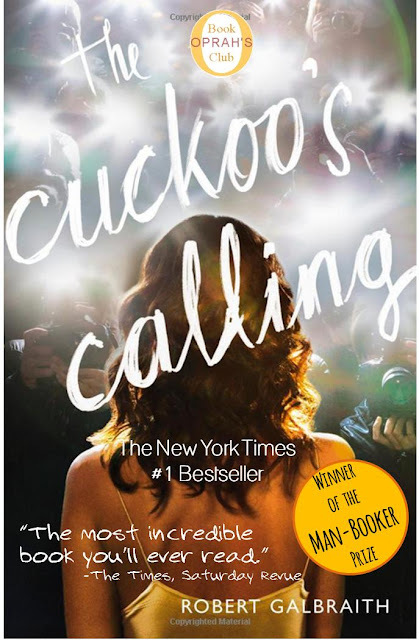 I'm not naive enough to think someone as established and powerful in the publishing world as JK Rowling wouldn't have a say in what's being done to promote her work (like some clueless singer who just wants to perform for big crowds), but being a fan I'd like to give her the benefit of the doubt that she didn't concoct this poppycock. Again, thanks for sharing -- I don't read crime/detective novels, so I never would have read this fake bio otherwise.